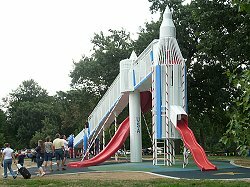 After several weeks of being closed for extensive painting, the rocket slide was re-opened in late August. The freshly painted slide closely replicates the original look when it was first placed in the park in the late ‘60’s or early 1970’s. 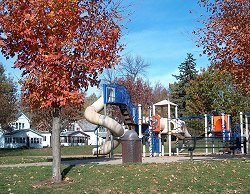 For a look at some advertisements which enticed the Des Moines Park & Recreation Department to consider this “modern” play equipment click here! 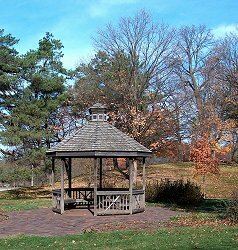 Visit the Union Park Neighborhood Association Website! 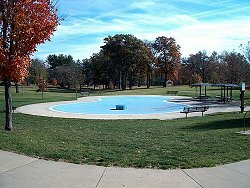 Visit the City of Des Moines' Park and Recreation Website!